Musician Carlos Santana (L) and Mexican singer Fher of Mana perform on stage at the "We are the Future" all-star humanitarian concert at Circus Maximus May 16, 2004 in Rome, Italy. The show is being broadcast globally on MTV and will raise money to open child centers in the most war torn regions of the world. Carlos Santana is celebrating his album that won nine Grammys in 1999. PHOENIX — One of the most accomplished guitarists in rock-and-roll history is starting his 2019 tour here in Phoenix. Carlos Santana's Supernatural Now tour, celebrating the 20th anniversary of his 1999 Grammy-winning album Supernatural, kicks off in Phoenix June 22 at Ak-Chin Pavilion. Joining the 71-year-old Santana will be The Doobie Brothers, also known for their guitar-riffed American rock. The Supernatural Now tour also marks the 50th anniversary of Santana's appearance at Woodstock. “I’ll never forget the way the music sounded, bouncing up against a field of bodies,” Santana said of Woodstock in a release. “It’s well documented that I was tripping during our performance. At one point the guitar turned into an electric snake, twisting and turning. I kept willing the snake not to move and praying that it stayed in tune. By the time we played ‘Soul Sacrifice,’ I was able to breathe and focus, and the band crystallized as one." Supernatural is one of the most successful albums in history, winning a record-tying nine Grammys, including Album of the Year and Record of the Year for the single "Smooth", which features Matchbox Twenty's Rob Thomas on vocals. 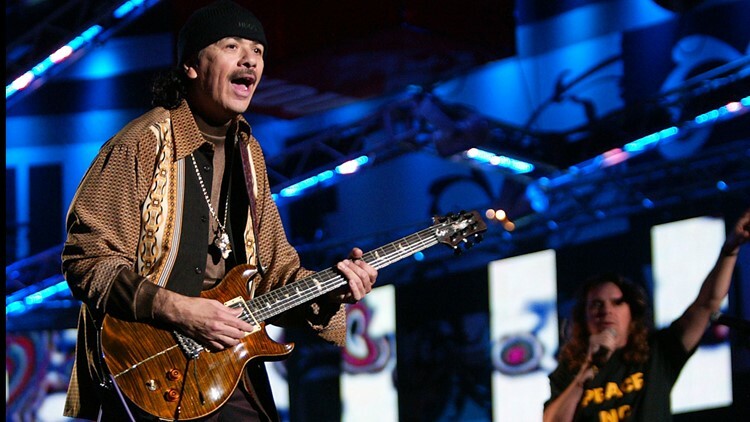 Even before that album debuted, Santana had been inducted into the Rock and Roll Hall of Fame in 1998 on the strength of his prior work, including the Grammy Award-winning "Blues for Salvador." Tickets go on sale next Friday, Jan. 25, on LiveNation's website.